Every color is affected by the light sources around it, both natural and electric. Before painting a room with what you think is your favorite color, select the right lighting to ensure you get what you are expecting. Isn’t all lighting about the same other than brightness? 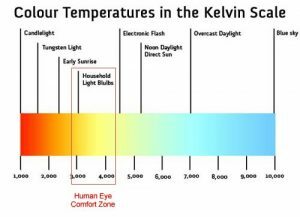 Or, for the rest of us, Color Temperature translates to how the light mentally “feels”. Is the light warm and cozy or cool and clean? 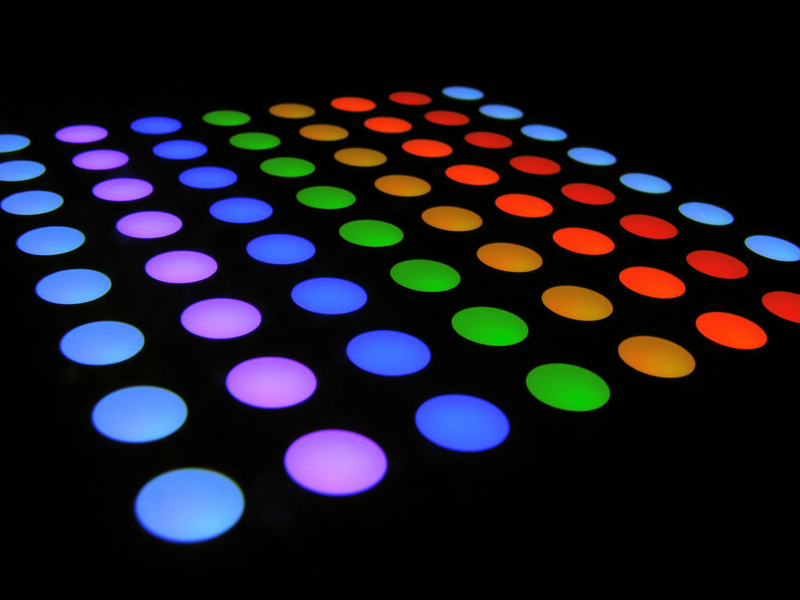 The Color Rendering Index (CRI) measures the ability of a light source to accurately render all frequencies of the color spectrum when compared to a perfect reference light of a similar type. It’s rated on a scale of 1-100 with 100 being the highest. The lower the CRI, the less accurate the colors will appear. 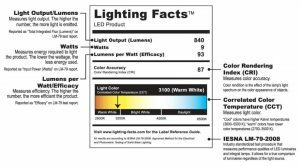 A high CRI is almost always a benefit except in applications where you don’t need to differentiate if things are in black & white or color. What temperature lighting should I use? Generally speaking for ambient light, bulbs in the 2750 – 3000K range play well with rooms decorated in reds, browns and oranges. Bulbs above 4000K, work well with green or blue colors. Task lighting is generally higher for clarity. But in the end, the right choice is the one you like that will work best for you. When shopping, go to the label on the back of the package for the most factual information. Considering the above information, select a few bulbs to try. Paint pieces of drywall (2x) with the paints you’re considering, and then move them around during the day to see how their color changes. Take samples of your carpet with you, too and notice the interaction with your paint color (especially if the carpet is bold and the wall is light). Finally, evaluate your color choices at night with the different bulbs in a floor lamp or fixture.